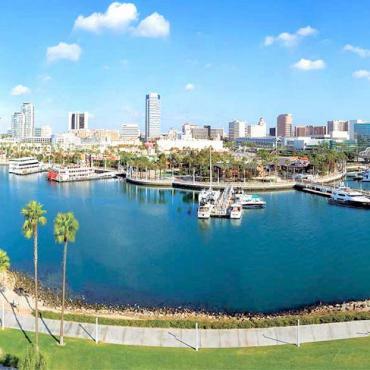 Set along five and half miles of sandy beach and coastline, Long Beach has the sophistication of a world class city with the charm of a seaside village. The Port of Long Beach is the second busiest container port in the United States and is among the world's largest shipping ports. The RMS Queen Mary ocean liner is permanently docked in Long Beach. The former Cunard Liner, recognised as the fastest in the world between 1936 and 1952, was used during World War II as a troop transport. In 1967, the city of Long Beach purchased the vessel and converted it to a hotel and maritime museum. The accommodation is fairly basic, but it's definitely worth a tour. Stretch the legs by walking, biking or even rollerblading the Long Beach Bike Path. 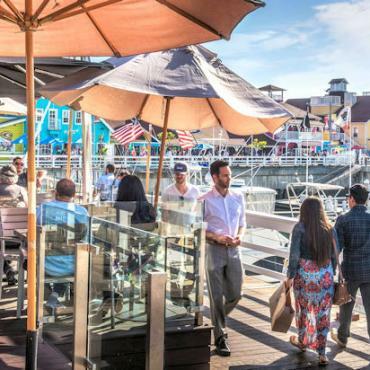 Almost five miles long, it extends from Shoreline Village to the downtown area. 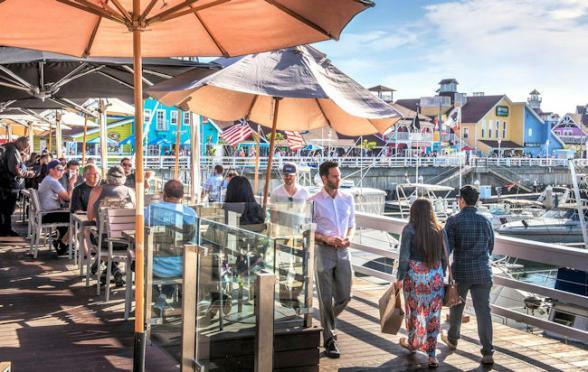 Shoreline Village, a waterfront collection of unique restaurants, shops and boutiques offers fun for everyone. The floating hotel is a true Bon Voyage customer and staff favourite. 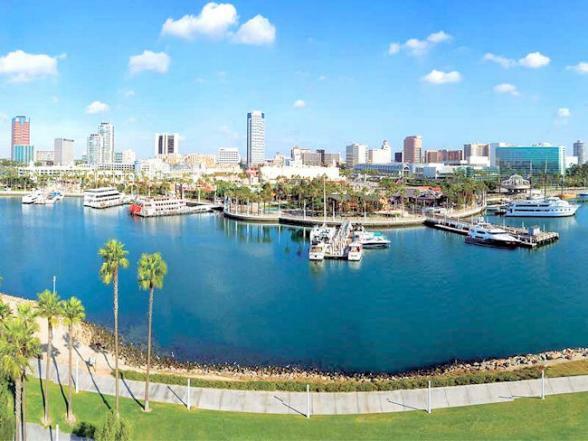 This luxurious hotel in Long Beach is perched on the edge of Long Beach`s Rainbow Harbor.